Nineteenth-century investigations into the nervous system produced extraordinary discoveries that changed ways of thinking far beyond the scientific community. Over the course of the century, scientists began to conceive of the subject not principally as soul, mind, or even brain, but instead as a complex of organically interacting mechanisms, many of them operating more or less autonomously and unconsciously. Meanwhile, theatrical works of the time by Shelley, Wagner, Dickens, Buchner, Zola, and Strindberg, sought to play directly on the nerves of the spectators through non-representational means, comprising a coherent genre Matthew Wilson Smith has dubbed the "theaters of sensation." 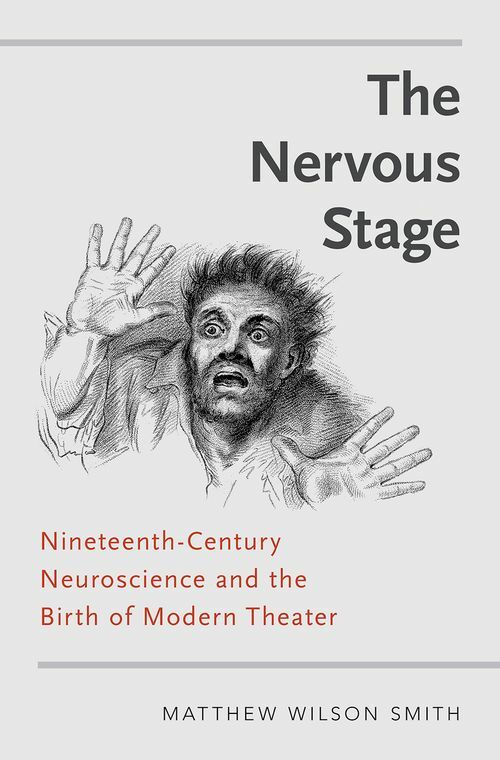 The Nervous Stage examines the relations between theatrical practices and the scientific study of the nervous system, arguing that to a significant degree, modern theater emerged out of the interaction between these two apparently disparate fields. In six chapters, The Nervous Stage makes three fundamental contributions to scholarship on comparative literature, specifically in the areas of drama/performance, cognitive literary studies, and the beginnings of global modernism. Through a series of revisionist readings of specific theatrical works and artists, Smith demonstrates that a number of literary texts were deeply engaged in dialogue with the neurological sciences of their period, and that an appreciation of this dialogue helps us better to understand their significance for their own historical period as well as for our own. Furthermore, it argues that a number of lesser-known works-ranging from certain "closet dramas" such as Shelley's The Cenci to popular melodramas such as Augustin Daly's Under the Gaslight-had much greater cultural significance than has been acknowledged heretofore.